Although a majority of women who drink usually cut down or quit drinking altogether when they decide to get pregnant or find out they are pregnant, alcohol consumption during pregnancy has become a significant public health issue. Estimates on how many women continue heavy drinking throughout their pregnancy range from 14% to 22.5%. These estimates are based on self-reported drinking during pregnancy. Those pregnant women who drink excessively during pregnancy are probably the same group least likely to accurately report their alcohol consumption. However, for pediatricians and other healthcare providers, it is important to know how much alcohol newborns were exposed to in the womb so that they can prepare to intervene early if the baby is going to be dealing with fetal alcohol syndrome symptoms. Therefore, newborns are tested to try to determine if they have been exposed to alcohol, especially if the mother has a history of substance abuse or is suspected of having an alcohol use disorder. The urine and blood of newborns can be tested for alcohol content, but those tests can only determine the mother's alcohol use during the 2 or 3 days prior to delivery. Testing hair from the newborn can detect a baby's exposure to alcohol over a longer period of time, but hair tests require special analytical techniques and are relatively expensive. A test developed by the physicians at Toronto's Hospital for Sick Children has given health care providers a new tool to detect how much mothers drank alcohol during pregnancy, which provides another method for the early diagnosis of fetal alcohol syndrome. The test involves analyzing the baby's meconium, the black, tar-like first bowel movements of all newborns, which is a result of having digested amniotic fluid in the womb. They look for levels of fatty acid ethyl ester, which is a chemical compound detectable after the first trimester and collects in the meconium as the unborn child is exposed to more alcohol. In the past, if the mother was suspected of drug use, hair tests could be ordered to determine if the child had been exposed, but hair tests were not routinely conducted to determine prenatal alcohol exposure. If mothers lied about their excessive drinking during pregnancy, it might take years before the effects of their drinking could be seen in the symptoms of fetal alcohol syndrome in their children. The new test gives healthcare providers a chance to provide early intervention services for the child, who can experience brain damage and mental retardation which might not show up until years later as impulsive behavior and learning difficulties. "The problem is not only the possibility of fetal alcohol syndrome but also a situation where the baby goes home to a mother who is an alcoholic whose main purpose in life is to make sure she gets enough alcohol. So how can she care for that baby?" Julia Klein, director of the Motherisk fetal toxicology laboratory, which developed the meconium test, told reporters. "Meconium is like a trash can," Dr. Klein said. "What the fetus experiences in utero accumulate there, and it stays there until the baby is born, so it's a very good medium for measuring what the fetus is exposed to." Only tiny amounts of fatty acid ethyl ester are detected in the first bowel movement of a baby born to a woman who only drank occasionally during pregnancy, but it will appear in abundance for babies born to women who drank regularly or were binge drinkers. One limitation of the meconium test is it does not measure exposure prior to the second trimester. But, meconium is easier to collect than urine and provides a window of exposure of up to 20 weeks. Meconium can also be tested for drug exposure. 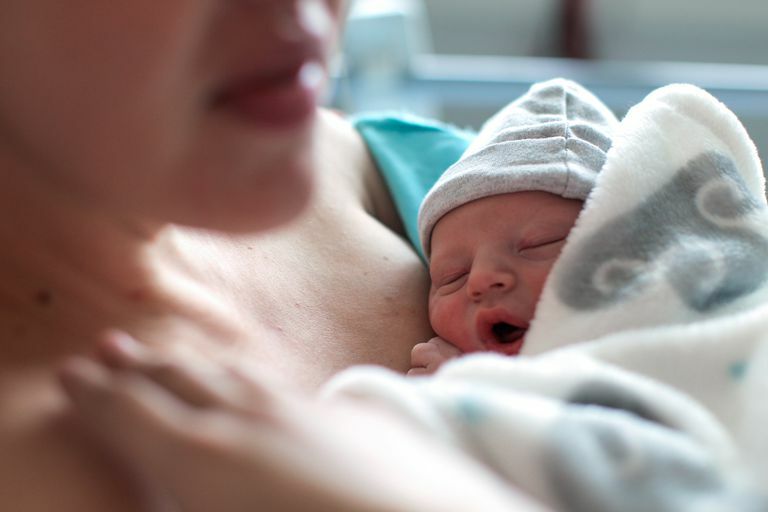 Doctors said a positive test does not guarantee that the newborn will suffer from fetal alcohol syndrome symptoms, but can give healthcare providers a head start on providing intervention services for those who are affected.